This is a great outfit of dark denim skinny jeans and a long-sleeved pink and turquoise checked shirt for a fabulous relaxed casual look. It also comes with a pink scarf as seen in the second photograph. The skinny denim jeans have an elasticated waist and are easy to get on and off. They have pockets in the front and back. The shirt is velcro-fastening at the front. 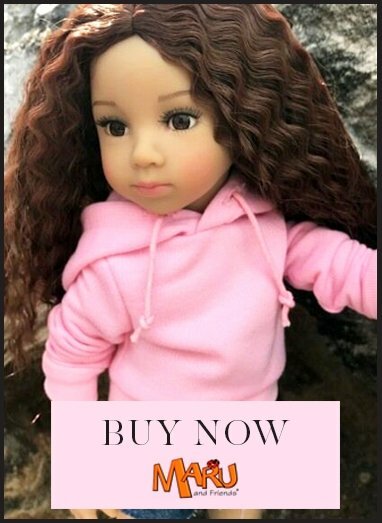 A very pretty everyday outfit for a doll. Doll and footwear are sold separately.